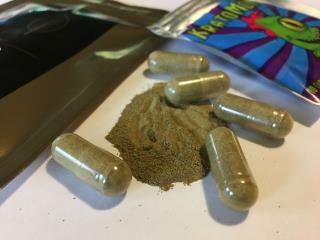 (Newser) – The FDA is warning Americans to stay away from kratom, calling its use as an opioid replacement or to treat opioid withdrawals "extremely concerning" and citing 36 deaths connected to the substance, Reuters reports. According to the Verge, kratom is a plant grown in Southeast Asia and used there for centuries. It's taken recreationally for its euphoric effects, as a dietary supplement, to treat anxiety and depression, and more. It's also increasingly being used to treat opioid withdrawals, states the FDA, which warns of liver damage, seizures, addiction, and death. The FDA isn't saying over how long a period those 36 deaths occurred, but data shows 10 times more calls to poison control centers regarding kratom between 2010 and 2015. It's all about $$$$$, not deaths, not people being helped. Always about the$$$$$$.